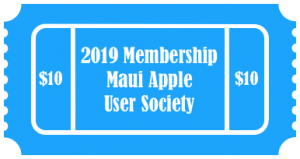 Dear All … ‘Normal Service’ to the Maui Mac User Society’s online presence has been restored. Apologies for the up and down of the web site, the feeds, the links to our page on Facebook etc. Suffice to say – all should now be done. Don’t hesitate to flag anything you find that you think is not as it should be …. we will get on it immediately.